New from Barkriver Knives this is the Cub. A very robust and tough Outdoor Knife that offers an excellent general purpose blade shape and length, combined with the flared Moran style handle. Full broad tang, three stainless pins (one Mosaic) and stainless lanyard hole, really superb Bushcraft and general purpose Survival knife. Great Bushraft or Survival knife in the tough CPM 3V steel, 60HRC. Convex ground. 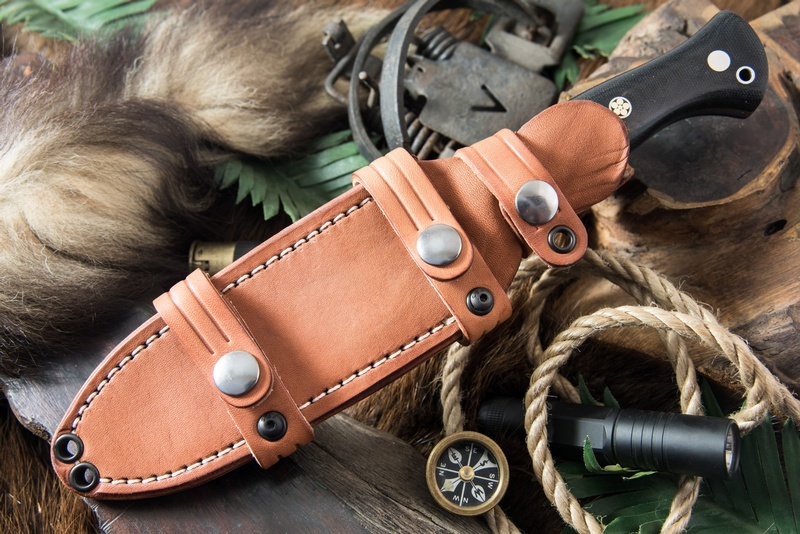 Comes with excellent quality Brown leather sheath. See pics for details. Purchase through PayPal by using the "Add To Cart" button above or use the form below to order the Barkriver CUB 3V Bone White Micarta . 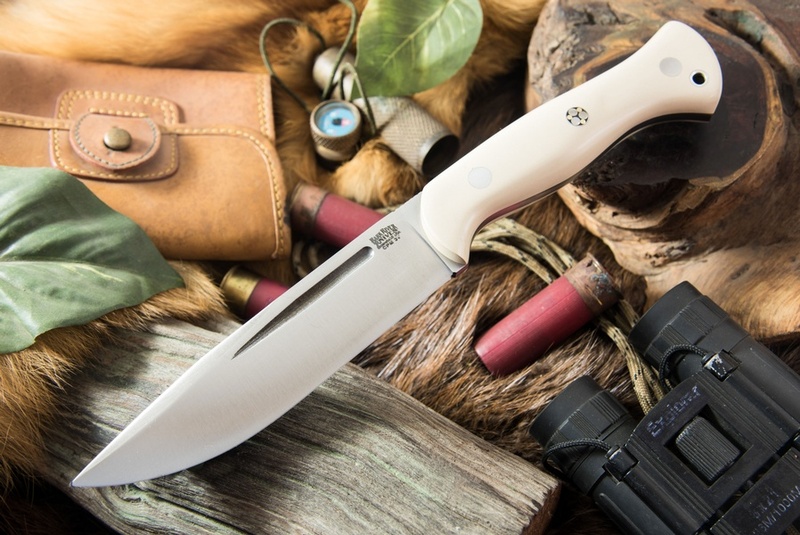 Feel free to contact us if you have any questions about the Barkriver CUB 3V Bone White Micarta .